We make live voting in the video stream of Facebook & deliver more attention and fans. Get it contact with us. With the start of 2014, Caveman programmed the world's first livestream crowdfunding platform in 14 months with the non-profit organization PixelHELPER. That's why PixelHELPER ran the revolutionary development collaboration that focused on that Life Funding App (Lifestream-Crowdfunding on Smartphone & Tablet) as a humanitarian tool. Since then the PixelHELPER Foundation has been engaged in digital donations and lead generation to advise NGO organizations. At Caveman International, we complement these activities for commercial customers. Currently we are following the trend of Facebook Live Votes. "Live voting is suitable for all organizations, more likes, more donations & new donation groups are opening up"
It started with a fake live video from the International Space Station ISS. 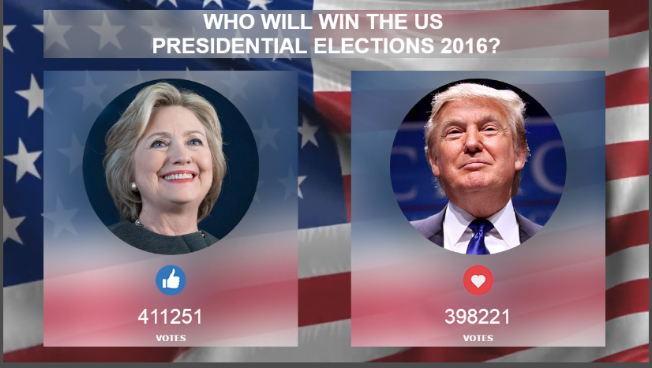 The pages viral usa integrated live polls on the presidential candidates. 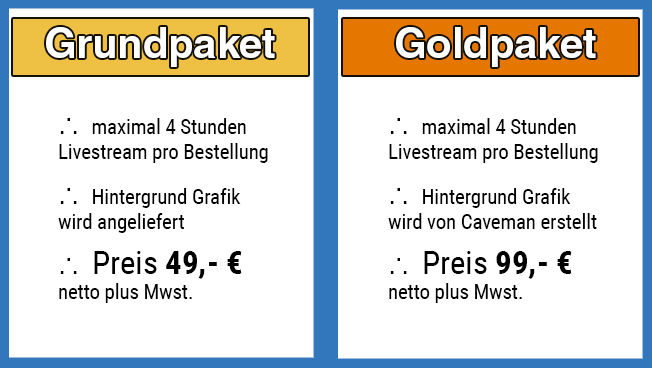 At the beginning, the site operators only sent offline videos with built-in meters. But it quickly starts that the meters could be controlled by the respective emotion icons via the Facebook interfaces. Currently there is a Facebook, a Heart, Wow, Haha, Sad and Angry to express emotions on Facebook. This feature brings an unbelievable reach and interaction with your posts in the network of your Facebook friends. Just like changing the title image, sending a Facebook live video generates a reach buzz that is perfect for small and medium businesses or non-profit organizations. PixelHELPER implements the complete processing of the live voting. The best thing is, this service is in return for a donation that we cede from Caveman to the nonprofit organization PixelHELPER. So they promote human rights and other actions by buying a live vote. We program for you an 4 hours livestream with music or other interactive content like videos & pictures. For this we need the editor rights on your Facebook page. To book the service, please use our donation form and indicate the respective amount of the package. Caveman's services, lectures or training largely fund the charitable work of the PixelHELPER Foundation. We are looking forward to your call. The implementation of interactive Facebook Live experiences will delight your Facebook friends and increase your number of users.